Another contention is about claim of 54F/54. It was the contention that assessee has sold all the flats allotted to him and therefore, at the time of investing in the new house, he has no other house except this house. As seen from the agreements and the principles of law involved, all the apartments received in the development agreement would become one house technically, even though they are of independent units. But, when the claim is made, it was the contention of assessee that all those flats were sold. Therefore, assessee does not own any other house, except the house in which he has invested. This aspect has not been considered by the AO or by the CIT(A) in the correct perspective. Therefore, I am of the opinion that this matter has to be re-examined by the AO keeping in mind the date of sale of various apartments and the claim u/s. 54F/54. Accordingly, the ground is considered allowed for statistical purposes. Four appeals from ITA Nos. 1463/Hyd/2016 to 1466/Hyd/2016 are by assessees against the order(s) of the Commissioner of Income Tax Appeals-1, Hyderabad, dated 18-08-20 16 u/s. 143(3) r.w.s. 254 of the Income Tax Act [Act] for the AY. 2003-04. The other four appeals i.e., from ITA Nos. 1467/Hyd/2016 to 1470/Hyd/2016 are by the same assessees against the modification order passed u/s. 154 of the Act and confirmation of the same by the Ld.CIT(A)-1, dt. 17-08-2016. Since common issues are involved, these appeals are heard together and decided by this common order. 2. The issue in these appeals is with reference to computation of capital gains. The families of Shri Balakrishna Naik and Shri Ramachandra Naik had properties in Vidya Nagar, Hyderabad, bearing H.Nos. 1-9-698 and 1-9-1087. Shri Balakrishna Naik branch consists of Shri Balakrishna Naik, his wife Smt. Kamalabai Naik and sons Shri Govind Naik, Shri Ramesh Naik and Shri Suresh Naik. The matters pertaining to these persons are not before us. 2.1. Shri Ramachandra Naik expired on 09-07-1994. His branch consists of four members i.e., wife Smt. Uttara Bai Naik, Sons- Dr. Sudhir Naik, Sachitananda Naik and Satish Naik, assessees in the present appeals. The group has entered into agreement with M/s. Siri Sampada Constructions & other and has given 8,365 Sq. Yds., of land for development vide agreement date 05-03-1995. The developer has constructed thirty flats in Block-A and hundred flats in Block-B. All the thirty flats constructed in Block-A was allotted to the land owners. Out of the hundred flats constructed in Block-B, the owners got twenty-one flats towards their share. Thus, they got fifty-one flats out of one hundred and thirty flats constructed by the developer. Out of the fifty-one flats, the owners have sold twenty-four flats before March, 2003. The constructed area in the share of completed flats was to be handed-over by the developers to assessees within two years from the date of development agreement. Thus, the developer has to handover the constructed area by March 1997. There was inordinate delay in execution of the work. While the construction was in progress, the members have sold some of the areas to which they were entitled to. In the process Assessee, Dr. Sudhir Naik has sold all the area available to him as per the development agreement. Like-wise, other members also have sold areas available to them. The developers have finally handed over the completed project in January 2003, as per the final agreement date 06-01-2003. Assessees herein have filed returns admitting NIL capital gains after claiming certain deductions u/s. 54F/54. The issue in these appeals is with reference to computation of capital gains and claim of deduction u/s. 54F. 3. For detailed discussion, the facts in the case of Dr. Sudhir Naik are discussed which also equally apply to all other persons, as they have common share in the property and assessment orders are identically passed. 6. In the re-assessment proceedings, AO completed the assessment more or less on the basis of the original assessment, however, bifurcating the long term capital gains and short term capital gains. It was the contention of assessee that AO is bound to follow the directions of the Tribunal and compute the income following the principles laid down in the case of Dr. Maya Shenoy Vs. ACIT in ITA Nos. 266 & 222/Hyd/2005 dt. 24-10-2008 [23 DTR 140]. It was the contention that the long term capital gain on transfer of land for development does not pertaining to the year under consideration and only long term capital gain/short term capital gain on the sale of flats during the year can only be considered for computation and accordingly, the directions of ITAT have not been followed. As per the section, for allowing exemption under this section i.e. 54F, two conditions are to be satisfied. 1. It is allowable to individual & HUF only. 2. The assessee does not have more than one residential house on the date of transfer of the original asset, exclusive of the one purchased claiming exemption u/s. 54F. Assessing Officer submitted, in this case, of the assessee, the first condition is satisfied. Regarding the second one, the assessee has received his share of flats in Block ‘A’ in August, 2001 itself. This is confirmed by M/s. N.R. Constructions & Engineering, who are the builders of M/s.Siri Sampada Constructions and M/s Pradeep Constructions, the developers of the property, vide their letter dated 14-03-2001. Hence, by that date of purchase of property, the assessee owned more than one house. (Since a flat/residential unit in a complex is treated as a residential house). Hence is not entitled for exemption U/s. 54F. During the course of assessment proceedings, the Applicant submitted that to claim deduction U/s.54F, he has purchased a portion of residential house at Gowliguda, Hyderabad from Smt. Nalini Prabhakar for Rs. 14,75,505/- on dated 29-04-2002. To sum up, the Applicant has already flats in Vidyanagar Complex and also purchased property in Jubilee Hills and Gowliguda, Hyderabad. The Applicant has not fulfilled second criteria. Therefore, in no way the Applicant is eligible for exemption U/s.54F”. “5. Ground is regarding adopting cost index of 1994-95 of 259 when the sale is considered to have taken place during the previous year relevant to Assessment Year 2003-04.
a) Cost of indexation is to be taxed as 259 points which is relevant to previous year 1994-95 instead of 447 points. b) The cost of indexation applied is incorrect, as such short term capital gain is to be added to returned income. The contention of the Applicant is that cost of indexing has been taken for as 259 points which is relevant to previous year 1994-95. It is purely calculation mistake apparent from the record and the Assessing Officer has rectified the same U/s. 154. The Applicant has made no submission as to why this mistake to be rectified. In light of above, I accept calculation made by the Assessing Officer”. “2. The learned CIT(A) erred in confirming the orders of the Assessing Officer computing Capital Gains, without appreciating the fact that he has not followed the directions of the Honorable tribunal of keeping in mind the decision in the case of Maya Chenoy as per which the Capital gains arising on account of development agreement is to be assessed only in the year of entering into development agreement and the assessment year before the learned CIT(A) is not the one. 3. The learned CIT(A) further failed to appreciate that such decision of the Tribunal has become final in view of monetary limits fixed by the CBDT and further that once the Capital gains arising on account of development agreement is not be considered in this year, the deduction u/s. 54 claimed is in order and the AO ought to have allowed the same, and thereby erred in confirming the order of the AO on the ground that the assessee owned more than one house. 4. On the facts circumstances of the case the order of the learned CIT(A) is liable to be quashed along with cost u/s. 254, as the order is passed in contravention of directions of the Hon’ble Tribunal”. Ground Nos. 1 & 5 are general in nature. “Without prejudice to the above ground and without accepting, at best the AO could have brought to tax the capital gains on sale of five flats jointly sold by the two groups of the HUF and could have assessed only the share that is falling to the assessee and ought to have allowed the deduction u/s. 54”. 11. Ld. Counsel submitted that the ITAT has clearly directed the AO to follow the principles laid down in the case of Dr. Maya Shenoy Vs. ACIT (supra), wherein the Hon’ble Bench has clearly held that (i) the capital gain on transfer of land in a development agreement will arise in the year of agreement, provided the agreement is fulfilled subsequently (ii) sale of property which was received in lieu of development agreement would be a separate capital gains transaction. Ignoring the above direction of the Tribunal, it was the contention that AO brought to tax the long term capital gain arising to assessee in the year 1995-96, whereas the impugned assessment year is AY. 2003-04 in which assessees have sold only five flats and only proportionate share should have been brought to tax. Ld.Counsel referred to the Paper Book, in which the statement showing list of flats retained, sold year-wise, which were furnished to AO earlier, to submit that assessee has sold fifteen flats in Block-A to Bank of Maharashtra on 23-08-2001 which pertains to AY. 2002-03. Therefore, those flats should have been brought to tax in AY. 2002-03 only. 11.2. It was the submission that only five flats sold to Ramsetty Viday Rani, R. Uma Vyakunta, Shashikanth Bagoji, S. Prabhakar & Shailaja and Seetharam Singh, at Sl. Nos. 9, 10, 11, 12 & 13, are only the flats which are sold during the year on which the proportionate long term capital gain on sale of entitled share of land and short term capital gain on sale of the structure can be brought to tax. It was submitted that the Hon’ble AP High Court in the case of Potla Nageswara Rao vs. DCIT [365 ITR 249] has upheld the principle that capital gains can only be brought, on the basis of development agreement in the year of agreement, the principle of which is stated in the decision of the ITAT in the case of Dr. Maya Shenoy Vs. ACIT (supra). Therefore, AO cannot bring to tax the long term capital gain on transfer of entire property for development in the impugned assessment year and to that extent, the orders of AO and CIT(A) are not correct. Referring to the computation of capital gains on the sale of flats, it was the submission that only capital gains pertaining to five flats can be brought to tax in the group of assessees. 11.3. With reference to the computation modified in the order u/s 154, it was the contention of Ld.Counsel for assessee that AO has passed an order u/s. 154 restricting the cost of indexation to the year 1993-94, then AO is aware that the transfer has happened in those years and has erred in passing an order u/s. 154 restricting the indexation and cost of acquisition granted earlier as he is bound to exclude the capital gains as it does not arise in the year under consideration. The action of AO in modifying the computation u/s. 154 itself indicates that the entire capital gains cannot be brought to tax in the year under consideration. He also referred to the order of CIT(A) submit that the detailed contentions made before the CIT(A) are not considered at all and only one issue i.e., deduction u/s. 54F was adjudicated in the main appeal. 11.4. With reference to contention under section 54, it was submitted that assessee does not own any house in the impugned year and accordingly, the investment made in the house is eligible for deduction, if any capital gain is taxable in the year under consideration. It was the submission that AO has not followed the directions of ITAT and has brought the capital gains pertaining to earlier years wrongly in this assessment year. Hence the various grounds. 12. 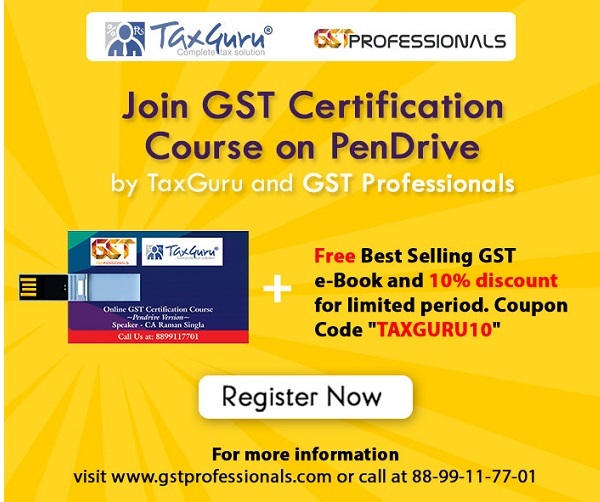 Ld.DR, however, while admitting that the details are available with the AO about various agreements of sale of properties, however, referred to the computation filed by assessee in the course of assessment proceedings and the return filed to submit that assessee has voluntarily offered the capital gains in the year, therefore, AO followed the same in bringing to tax the capital gains. Ld. DR defended the orders. “The moment the transferee gets the right to make use of the land or to enjoy its usufructs, the transfer is complete. Under the TP Act, if the intention is that property should pass on registration, the sale is complete as soon as the deed is registered irrespective of whether the price has been paid. However, under the IT Act, as per s. 2(4 7), any transaction involving the allowing of the possession of any immovable property in part performance of a contract of the nature referred to in s. 53A of the TP Act constitutes transfer. Possession is one of the important subordinate interests amongst the several components that go to make up absolute right. In the present case, though the development agreement was entered into in March, 1995, the assessee continued to reside in the old structure for quite sometime thereafter. In fact, the rent earned by her on the part of the structure which was let out by her, has been accounted for till June, 1998. It is on record that the old structure was demolished by the assessee by 15th Dec., 1999 and then the possession of the vacant land was handed over to the developer. Till this date the agreement was merely an executory agreement and not acted upon. There is no material on record to suggest that either party had taken some step towards the implementation of the agreement. Thus, it can be said that the developer got the possession of the land sometime in December, 1999. This is the first step towards the implementation of the agreement entered into in March, 1995. More importantly, the possession was handed over with all the rights and interests in the property barring the assessee’s share in land proportionate to her 45 per cent share in the constructed property. Qua the entire piece of land, the assessee was left with nothing but the husk of title and hence it was a transfer as per s. 2(4 7). It can be said that though the agreement was entered into in 1995, it did not give rise to any rights to either party as the implementation of the agreement did not start till as late as December, 1999. The intention of the parties, as it emanates from the agreement, is to effect transfer of land from the assessee to the developer and on handing over the. possession, the assessee actually gave shape to the intention. This handing over of the possession was towards the part performance of the agreement. Therefore, as per cl. (v) of s. 2 (47), transfer took place in December, 1999, the effective assessment year being 2000-01. As per s. 45(1), capital gain arising from the transfer of a capital asset shall be chargeable to tax in the year in which the transfer took place. Since the transfer took place in December, 1999, the capital gain is chargeable to tax in the asst. yr. 2000-01. It was contended by the counsel that if the taxable event was the entering into the development agreement, which was in 1995, then also there would be no tax liability as no consideration was received in that year. What the assessee had received was merely a right to receive 4-1/2 flats which were not in existence at the time of entering into agreement. The same argument may be raised by him in connection with asst. yr. 2000-01. Well, it is well established that it is enough if the assessee has received the right to receive the consideration. It may be quantified later or it may be received later, but these factors do not retard or stall the accrual and hence the gain has to be taxed in the year of its accrual only. Capital gains accrued in the previous year relevant to asst. yr. 2000-01. May be, the AO might have had to resort to estimating the consideration but the same would have been subject to modification later. Thus, the capital gain arising on the transfer of land is not chargeable to tax in asst. yr. 2001-02.- T.V. Sundaram Iyengar & Sons Ltd. vs. CIT (1959) 37 ITR 26 (Mad), CIT vs. Rohtak Textile Mills Ltd. (1982) 30 CTR (Del) 151 : (1982) 138 ITR 195 (Del), Smt. Jeejeebai Shinde vs. CIT (1983) 33 CTR (MP) 241 : (1983) 144 ITR 693 (MP), Addl. CIT vs. G.M. Omarkhan (1979) 116 ITR 950 (AP) and B.N. Vyas vs. CIT (1985) 49 CTR (Guj) 100: (1986) 159 ITR 141 (Guj) relied on. The land is one capital asset transferred by the assessee and the flats allotted to her in consideration for the transfer of land constitute a different capital asset for the assessee. How can transfer of two capital assets transferred on different dates constitute a single transaction for the purpose of capital gains under the Act? It is not a conversion of an asset from one form to the other. Such a conversion is deemed to be a transfer only when a capital asset is converted into stock-in-trade by a person. In the instant case, it is not in dispute that the land held by the assessee was her capital asset. It cannot also be disputed that the flats acquired by her were also her capital assets. The acquisition of the new asset may have been by any mode, but simply because the new asset came to her by way of consideration for transfer of earlier asset, the transfer of new asset does not cease to be a transfer as per s. 2(4 7) constituting altogether a new transaction. If the argument of the counsel were to be accepted, the assessee can easily defeat the very charging provision of s. 45 by postponing the sale of the new asset indefinitely. Such a situation is not envisaged under the Act. And why talk of postponement at all. She may very well decide not to sell any of the flats coming to her share. The situation would be like this. As per the development agreement she has no claim over the land which has been given to the developer and she may not sell any of the flats coming to her share. In that case, despite there being transfer of land as per s. 2(4 7), the assessee could escape the liability of capital gains tax. Therefore, the stand of the assessee to treat the two transactions as one is too fallacious. It does not merit acceptance. Accordingly, transfer of land in consideration of the flats constitute one transaction giving rise to capital gains and the sale of flats by the assessee constitutes another transaction giving rise to capital gains. Assessee owner of land having parted with possession of land under a development agreement for construction of flats having handed over possession of vacant land to developer on promise to be handed over 45 per cent of constructed area, it was a case of transfer by exchange within the meaning of s. 2(47)(i); property was handed over in part performance under s. 53A of the TP Act and it could not be said that the transaction was without consideration; possession of land being handed over to developer only in December, 1999, the transfer took place in December, 1999, hence capital gain accrued and was chargeable in asst. yr. 2000-01 and not in asst. yr. 2001-02; transfer of land and transfer of flats allotted in consideration of transfer of land are two transactions and not one for purposes of charge of capital gains”. 13.2. Thus, the action of AO in working out the long term capital gains arising in AY. 1995-96 in the impugned assessment year cannot be upheld. Moreover, the action of AO in restricting the cost of indexation to that year itself indicates that AO is aware that the capital gain arose in that year only. Therefore, even if assessee wrongly admitted the capital gains for claiming deduction u/s. 54F, the fact that assessee declared NIL capital gain on the entire transaction does not come in the way of claiming that no capital gains arose in the year. Respectfully following the principles laid down in the case of Maya Shenoy( supra) as affirmed by the Hon’ble Jurisdictional High Court in Potla Nageswar Rao [365 ITR 249] (supra), I hold that the capital gains on the transfer of land for development did not arise in the year under consideration and accordingly direct the AO to exclude the capital gains on the transfer of land given for development. 13.3. Coming to the capital gain on transfer of constructed area, which was considered as a second transaction, as can be seen from the details placed on record, most of the semi-constructed structures in Block-A were sold in August, 2001, which pertains to AY. 2002-03. Therefore, as far as the capital gains on Block-A (entirely) does not pertain to the year under consideration. 13.4. As far as the sale in Block-B is concerned, as per the details the capital gains arise in AYs. 2002-03, 2003-04 and 2004-05. As stated by the Ld. Counsel for assessee, only five flats in Block-B are sold in financial year relevant to the impugned assessment year. Therefore, any long term capital gains in those five flats on sale of proportionate un-divided share of land and short term capital gain on the sale of super structure/flat can only be brought to tax in the year under consideration. Accordingly, AO is directed to re-work out the capital gains only that extent and the share of assessee, Dr. Sudhir Naik in that can only be brought to tax in his case. 13.5. Another contention is about claim of 54F/54. It was the contention that assessee has sold all the flats allotted to him and therefore, at the time of investing in the new house, he has no other house except this house. As seen from the agreements and the principles of law involved, all the apartments received in the development agreement would become one house technically, even though they are of independent units. But, when the claim is made, it was the contention of assessee that all those flats were sold. Therefore, assessee does not own any other house, except the house in which he has invested. This aspect has not been considered by the AO or by the CIT(A) in the correct perspective. Therefore, I am of the opinion that this matter has to be re-examined by the AO keeping in mind the date of sale of various apartments and the claim u/s. 54F/54. Accordingly, the ground is considered allowed for statistical purposes. 13.6. In the result, AO is directed to re-compute the capital gains only on sale of five flats and proportionate amount pertaining to assessee should be brought to tax in his hands. AO is also directed to re-examine the claim of 54F. Assessee should be given due opportunity. 13.7. Thus, in the appeals pertaining to ITA Nos. 1463/Hyd/2016 and 1467/Hyd/2016, the orders of AO and CIT(A) are accordingly set aside to be re-done as per the directions above. 14. The facts are more or less similar in other cases of this group to the extent of computation of capital gains on sale of flats are concerned. The variation is only in claims u/s 54/54F. Therefore, as discussed above in the case of Dr Sudhir Naik, in ITA Nos. 1464/Hyd/2016, 1465/Hyd/2016, 1466/Hyd/2016, 1468/Hyd/2016, 1469/Hyd/2016 & 1470/Hyd/2016 orders of AO and CIT(A) are set aside. AO is directed to re-compute the capital gains (Long term and Short term) only on sale of five flats and proportionate amount pertaining to assessees should be brought in their hands. AO is also directed to re-examine the claim of 54F/54. Assessees should be given due opportunity. 15. In the result, all the appeals are allowed for statistical purposes. “….As seen from the agreements and the principles of law involved, all the apartments received in the development agreement WOULD BECOME ONE HOUSE TECHNICALLY , EVEN THOUGH THEY ARE OF INDEPENDENT UNITS even though they are of independent units. But, when the claim is made, it was the contention of assessee that all those flats were sold. Therefore, assessee does not own any other house, except the house in which he has invested…..” -?! < Calls for an independent in-depth study, in all its ramifications; may worth doing so in the light of discussion in, – (2014) 226 TAXMAN pg 143-151 ! NOTE: Prima facie, the assessee's contention has to be decided,- there being no fresh facts required, having regard to the applicable provisions of the IT Act; to be conjointly read with the state law on 'Flats'. The doubt is, – instead of remanding, could not the ITAT decided the issue, within its vested powers ? !